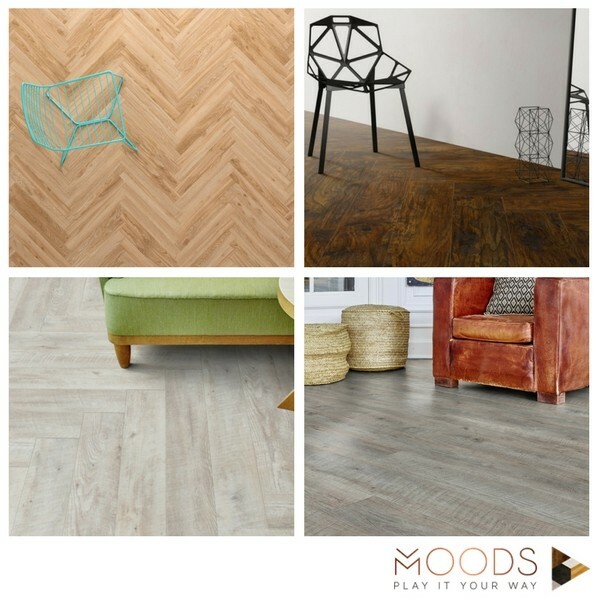 Combine ten brand-new flooring formats to create up to 110 unique wood and stone effect designs from selected products in the Moduleo Transform and Impress ranges. The designs range from classically elegant to wildly dynamic, giving you complete flexibility to create bespoke, design-led floors that reflect your individual style. The first group of special formats are the rectangulars: a group of planks based on a width that is always exactly 4 or 8 times the height of the plank. Additionally, every rectangular plank is exactly half, double or a third of the size of the other planks, ensuring a maximum flexibility and compatibility to create harmonious flooring patterns. The second group of special formats are the geometrics: three shapes that interlock at oblique angles to create a family of intricate and daring kaleidoscopic patterns. Visit either of our Stockport showrooms for specialised advice and to experience the natural look and inviting effect of Moduleo® Moods for yourself.